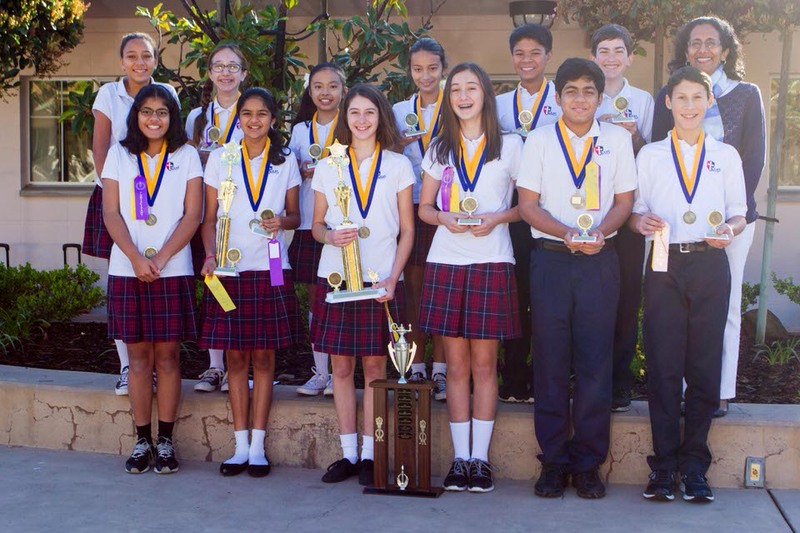 The Academic Junior High Decathlon, held the first Saturday in March each year, is a competition for students in grades 6 through 8. The Decathlon consists of ten events. Two are collaborative team efforts – a Logic Quiz with 20 rigorous thinking problems and a Super Quiz with 50 multiple choice questions covering five broad academic themes. The remaining eight events test individual knowledge of Roman Catholic doctrine, English, Literature, Science, Mathematics, Current Events, Social Studies, and Fine Arts (Art and/or Music). 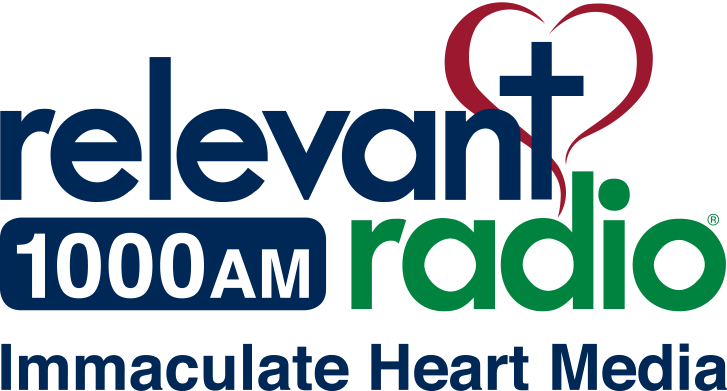 Awards are given for individual and team performances and the winning school from each geographic diocese moves on to compete in a state championship the first Saturday of May each year. Each school’s team consists of ten students, eight of whom each test in one of the individual subject areas. All ten students participate in both the Logic Quiz and the Super Quiz. Any students in grades 6 through 8 may join the group starting in early fall. Meetings are held on Fridays immediately after school dismissal. In late January, the candidates take a series of tests on the year’s content areas and the 10 best prepared students (regardless of grade) continue during February to fine-tune their skills, knowledge, and practice working together as a team for the actual event in March. The ten finalists represent SMS at the diocesan event. Each school’s team consists of ten students, eight of whom each test in one of the individual subject areas. 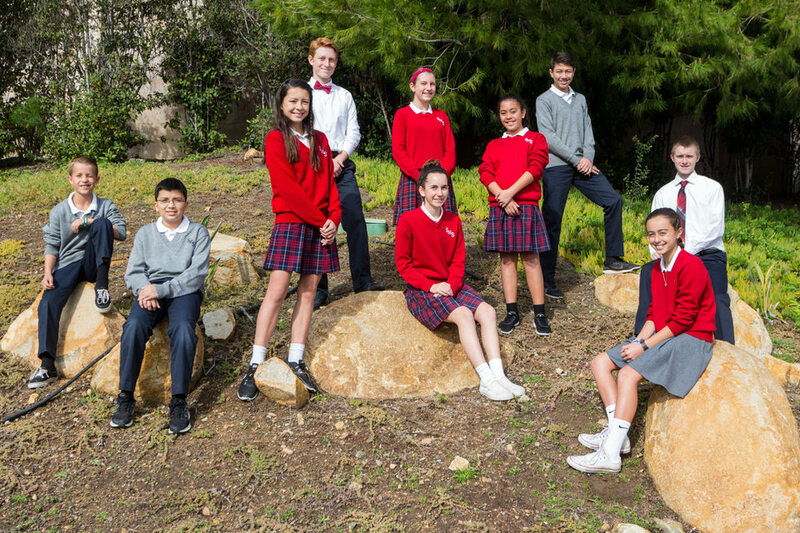 St. Michael’s School offers a variety of programs for students to learn and grow outside the regular school schedule. In order for the club to operate, there is a minimum enrollment requirement per session. Days are subject to change, depending on instructor availability. 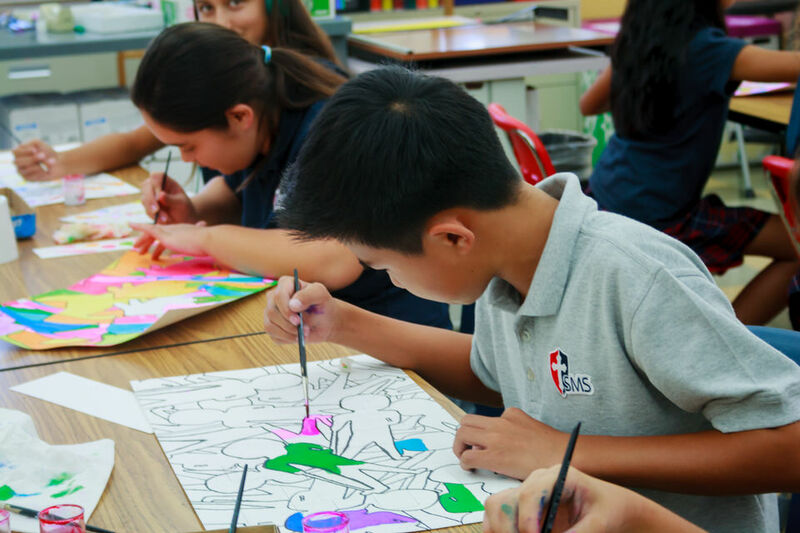 In addition to the Fine Arts program offered during the school day, St. Michael’s School offers an extracurricular Art Club after school. There are four, six-week sessions offered throughout the year. Students in grades 3-8 meet on Mondays from 3:00 – 4:15 PM and students in grades K-2 meet on Tuesdays from 3:00 – 4:00 PM. This club has a limited enrollment to provide a more personalized art experience with more one-on-one time with the teacher. There is a fee for participation. Available for students in grades 1-8, Excelsior Chess provides experienced instructors that cultivate a life-long appreciation for chess among children. It’s educational, enriching, easy to understand, challenging, and rewarding, but most of all…fun. The class meets on Mondays from 3:00 – 4:00 PM for 8 weeks each session. There is a fee for participation. 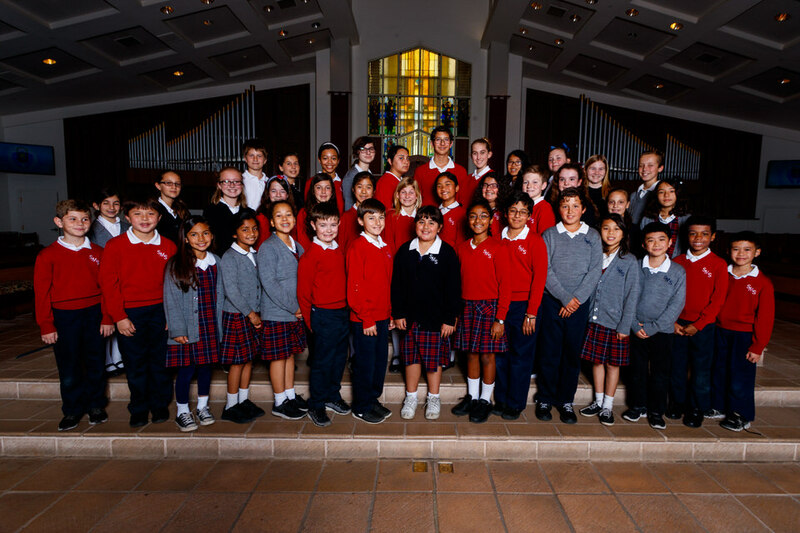 Students in grades 3 through 8 may elect to join the school choir, which meets after school on Wednesdays. These students act as music ministers for the weekly school liturgies. 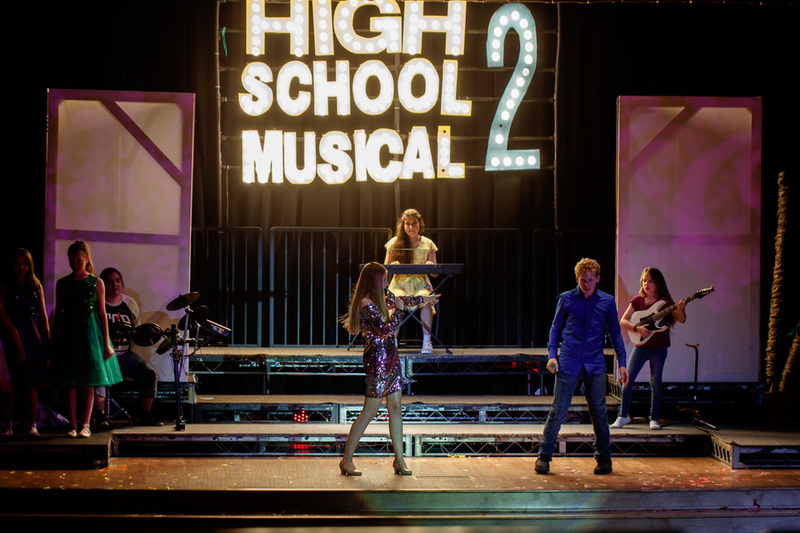 Students are challenged to strengthen their vocal and auditory skills by working on two and three part harmonies within sacred and popular music. 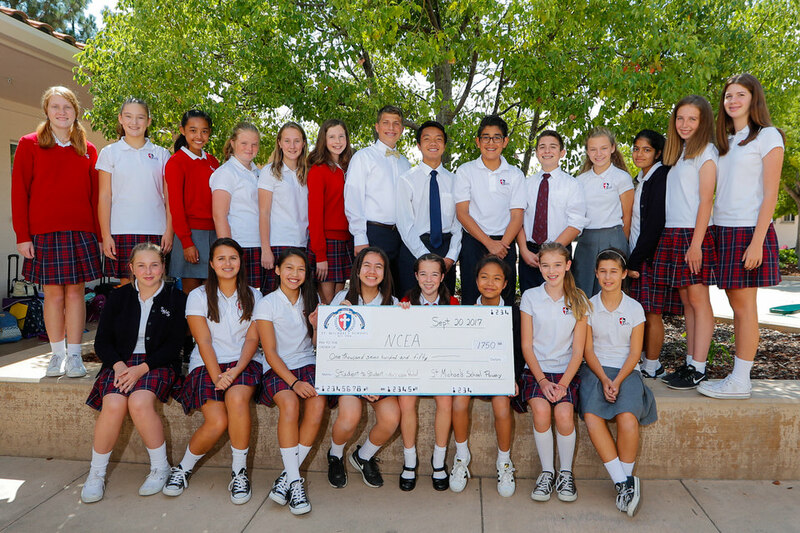 Students enhance their performance skills by appearing at the parish Fall Festival, school Christmas Concert, the Fine Arts Festival, and have participated in the Annual Songs of the Holiday Season on KUSI. 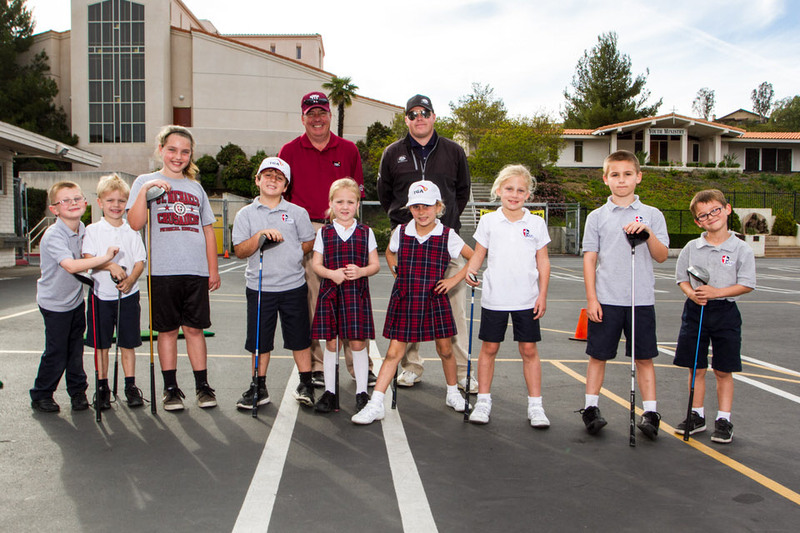 Available for students in grades K-4, TGA and SCPGA bring the golf course to St. Michael’s School, providing students the opportunity to learn and play in a fun and safe environment. Kid-friendly instructors help students develop golf skills and knowledge, while using the sport to teach valuable life lessons like honesty and sportsmanship. The class meets on Thursdays from 3:00 – 4:00 PM for 8 weeks each session. There is a fee for participation. The Rose Debate Institute is an educational organization specialized in communication and forensics. Instructors from The Rose Debate Institute offer an 11 week session after school on Thursdays from 3:15 – 4:45, helping students establish a firm foundation for confident speech and prepare them for every public speaking situation. This program is offered to students in grades 5-8 in the fall. There is a fee for participation. 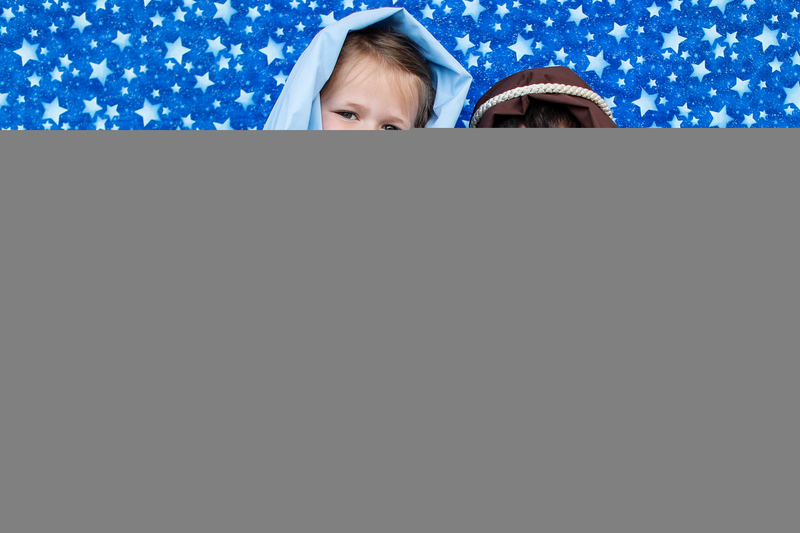 Spanish Club is offered after school on Wednesdays for students in grades 1-3. Students explore the Spanish language through a variety of songs, bilingual literature and games. Spanish Catholic prayers are introduced and practiced. Students also learn about the diverse cultures and celebrations of countries that speak Spanish through music, video and literature. They are introduced to the alphabet, the vowel sounds, counting from 1-20, colors, basic greetings and introductions, theme related nouns, verbs and adjectives. Students are engaged through the use of repetitive chants and songs, games and art projects. There is a few for participation. 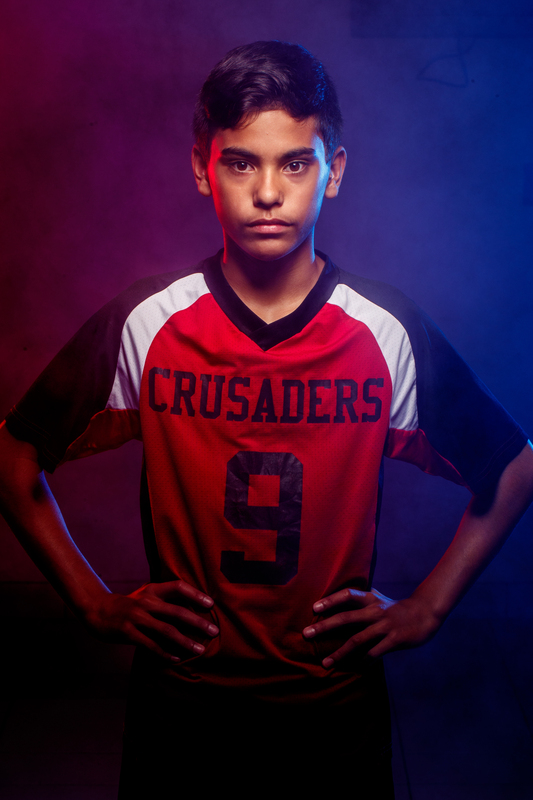 Our athletic program provides opportunities for St. Michael’s students to develop critical life skills such as working together as a team towards a common goal and accepting victory graciously and defeat with dignity. 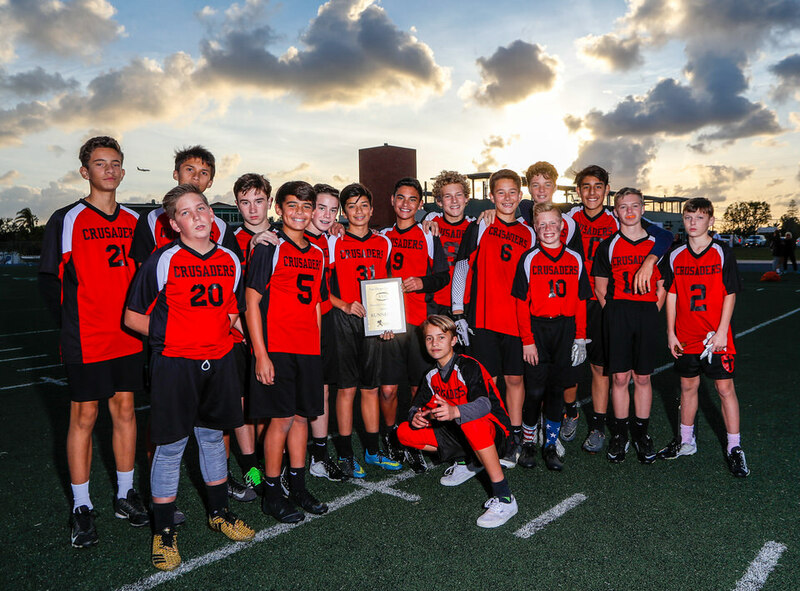 At the junior varsity level (grades 5-6) the goals of the program are skills development, belonging to and participating on a school sports team, and camaraderie. 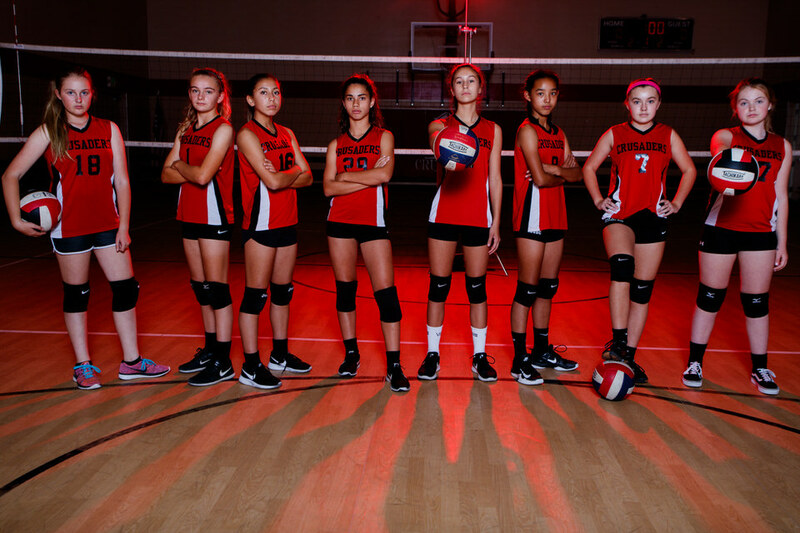 The goals of the program at the varsity level (grades 7-8) are to refine skills, play competitively as a team, practice good sportsmanship, and foster school spirit. 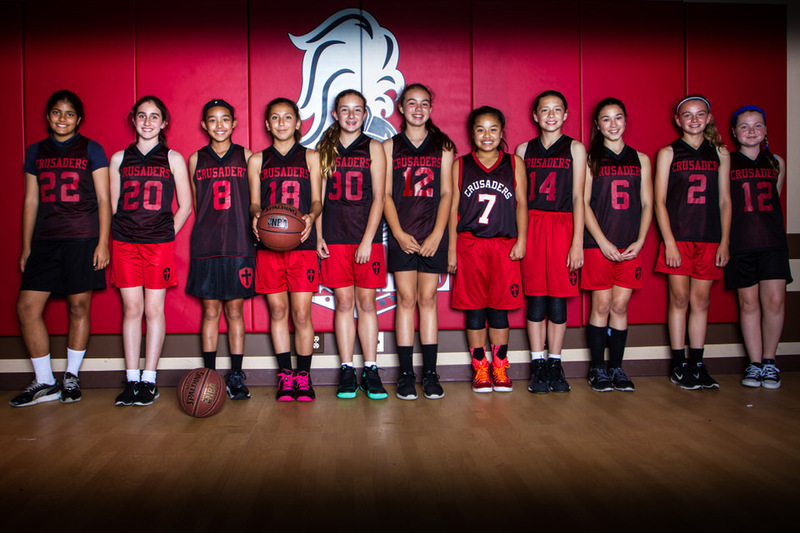 St. Michael’s School promotes cooperative teamwork and positive attitudes when playing any sport. 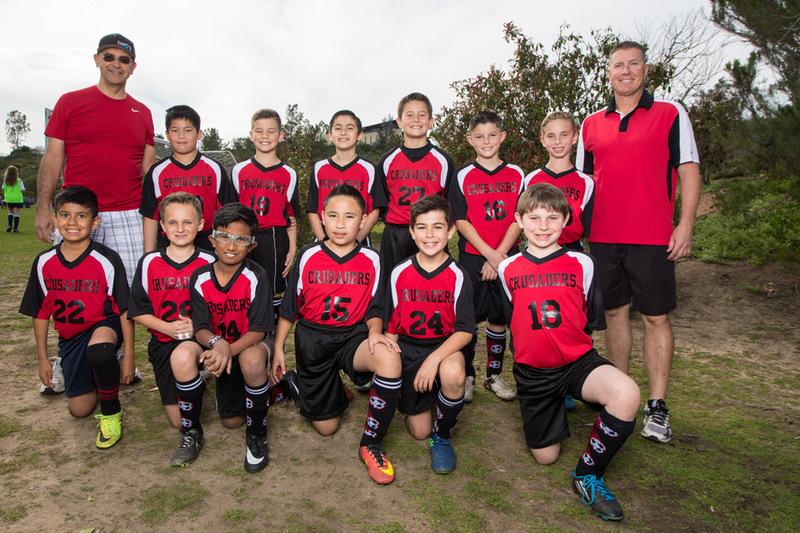 Team members, coaches, parents, and spectators are all expected to conduct themselves with the high standards we hold: respect, patience, enthusiasm, and self-control. 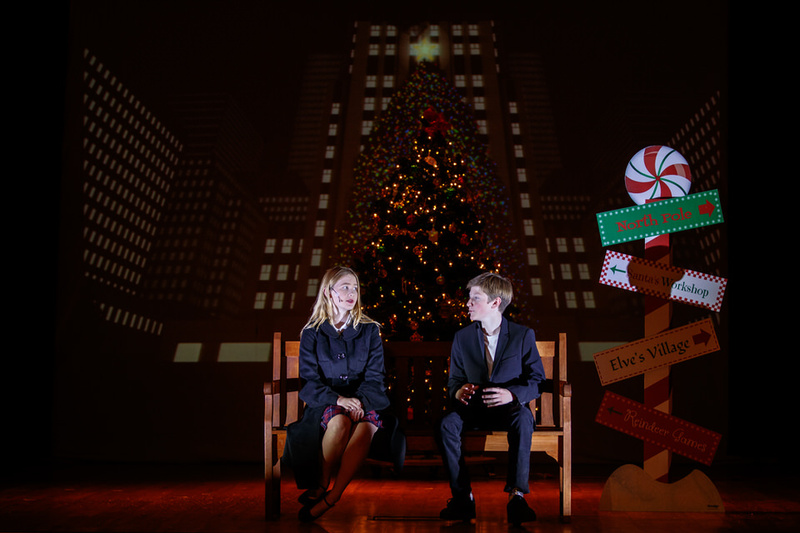 The St. Michael’s School theater program began modestly in 2010 with a spring production. 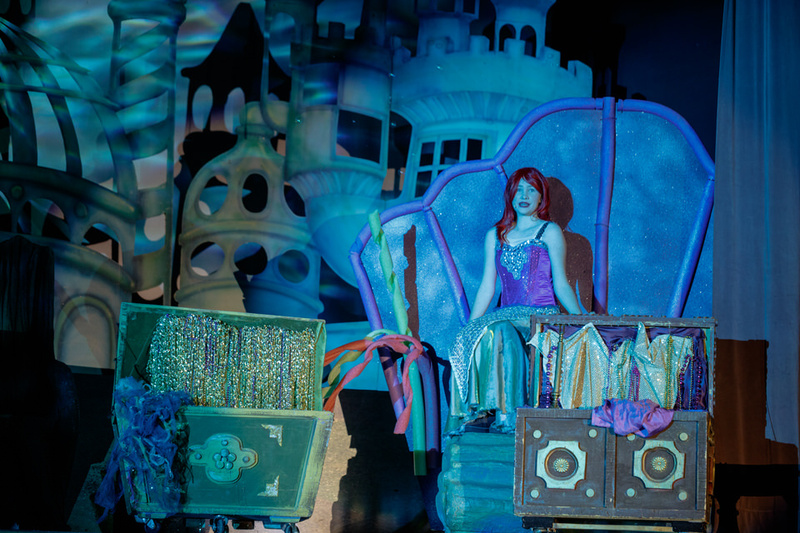 Since that time, the program has grown to include a summer camp as well as a “mini” fall production. 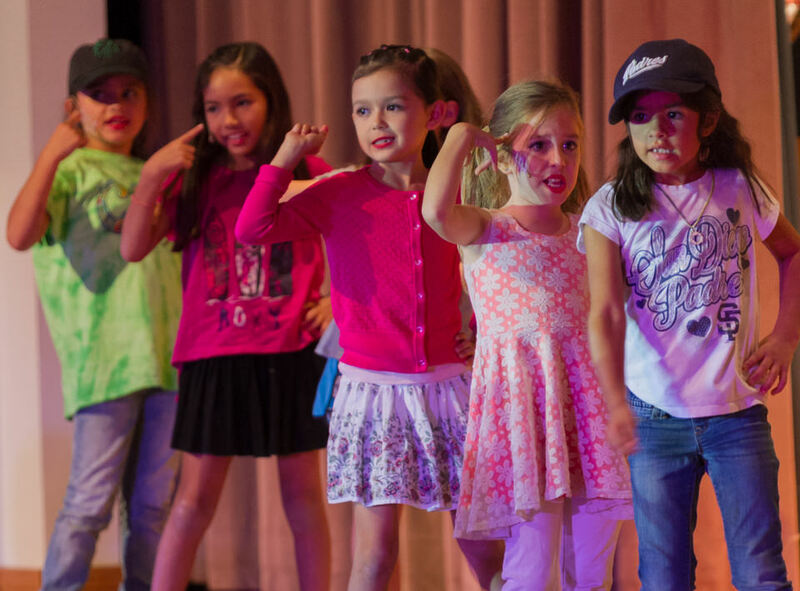 The goal of our program is to develop each student’s talents by introducing them to the three elements of musical theater – singing, acting, and dancing. 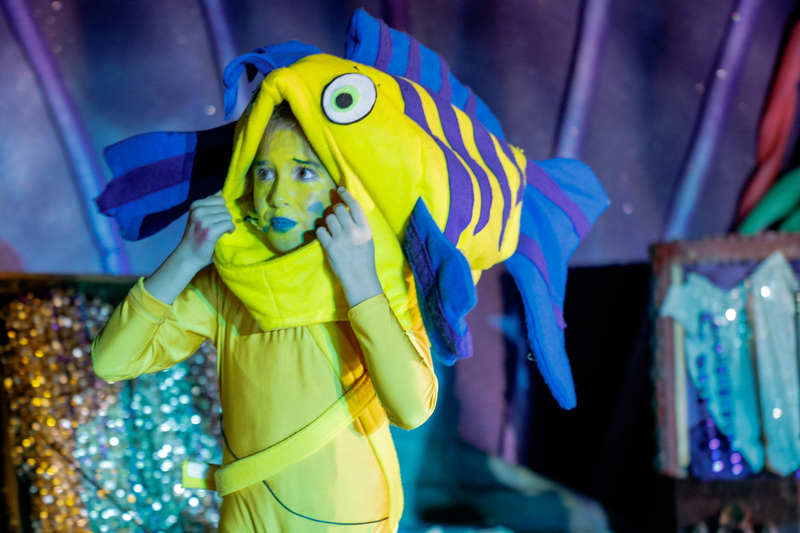 While learning these elements, students are introduced to the language of theater. 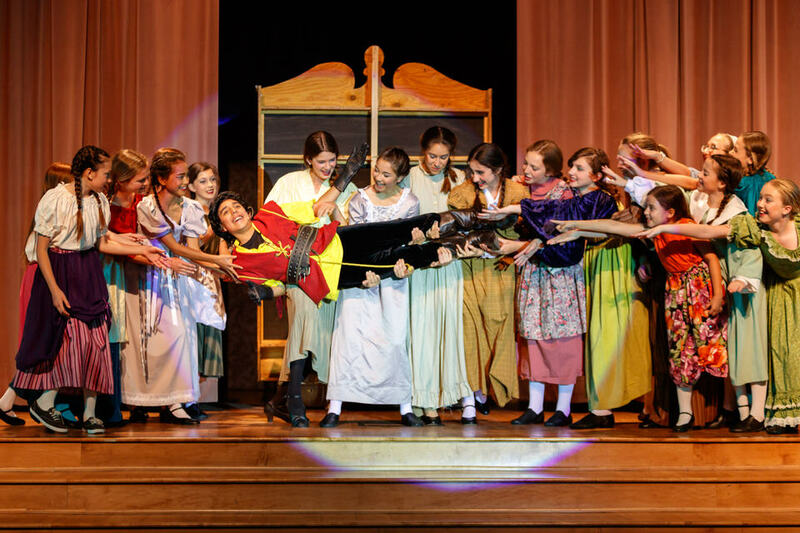 In addition to developing the skills required for theater, students are encouraged to develop focus and discipline while working as a team. 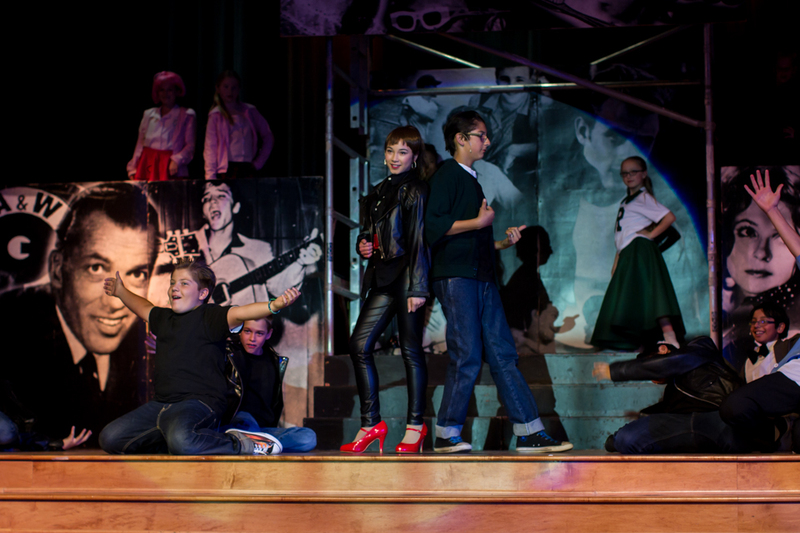 The artistic team works in an encouraging and positive manner to build skills and self confidence with each student. These skills often carry over into the classroom, as students build stronger speaking skills and confidence when appearing before groups of people. 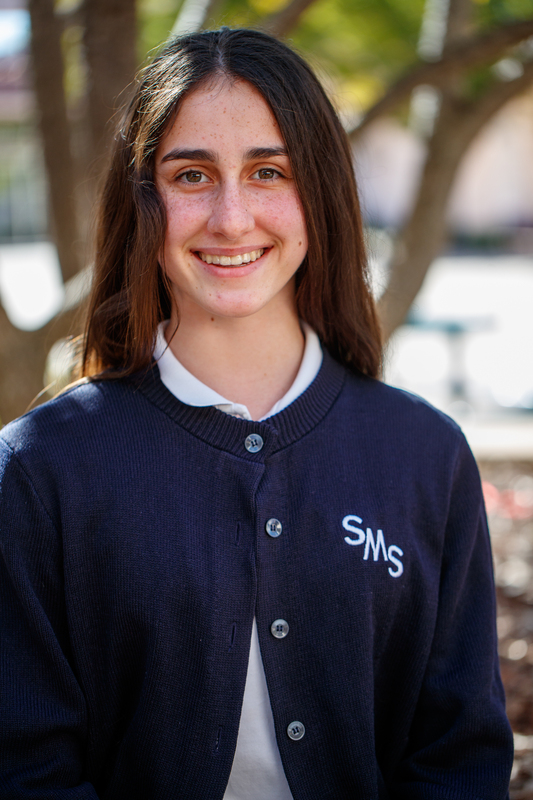 Mercy Corps¸ St. Michael’s School’s service organization was established in 2006 with a charter group of 10 eighth grade students. Mercy Corps was named in honor of the Sisters of Mercy, and the ideal of living out the Corporal and Spiritual Works of Mercy; Corps, a group of people acting as a body rather than as individuals, also relates to our patron St. Michael, defender in battle. 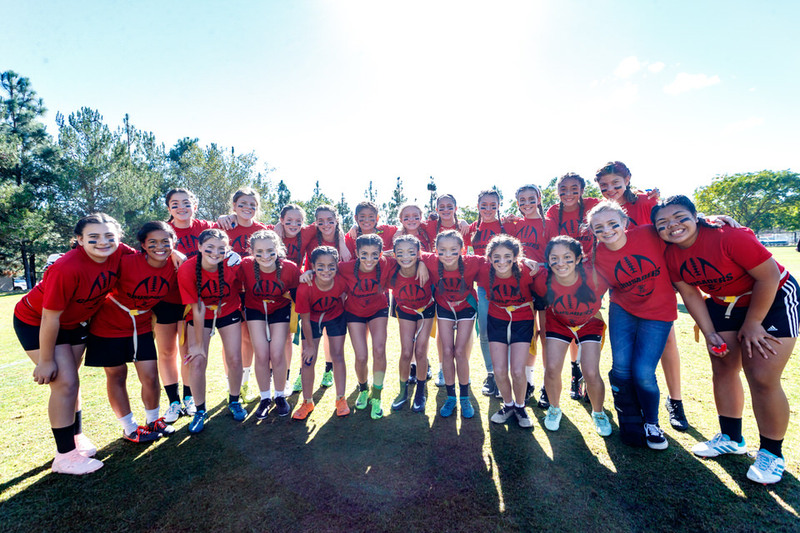 It has grown substantially to include over 50 students in grades 7 and 8. With Jesus Christ as our model, Mercy Corps’ mission is to encourage awareness, involvement in service, and empathy towards others. 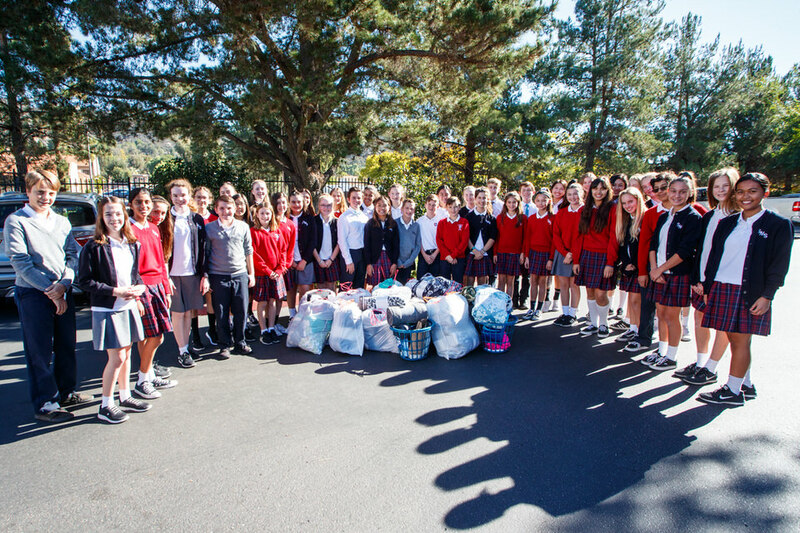 The service opportunities they plan and lead have increased awareness and involvement among the entire school community. 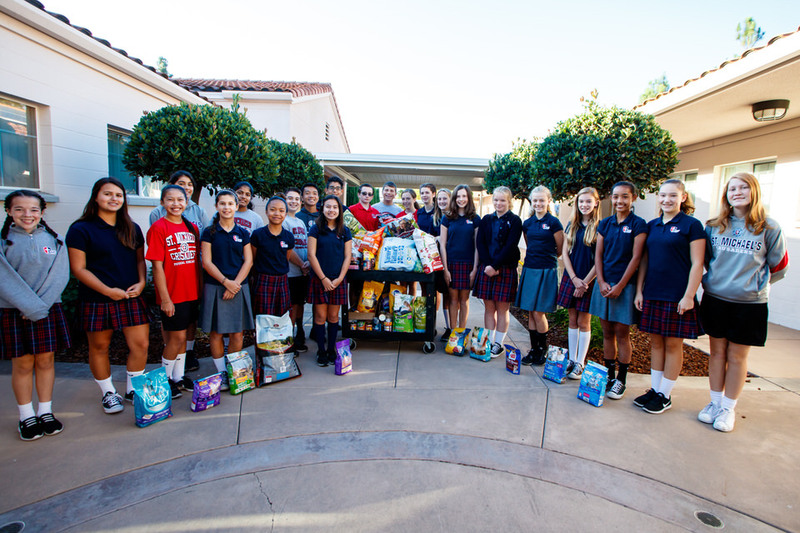 All school families are invited and encouraged to participate in volunteer opportunities that include projects at the San Diego Food Bank, St. Vincent de Paul, Family and Friends Community Connection, and Life Choices Pregnancy Center. As educators we know providing learners with unique experiences increases their classroom interest and eventually influences their academics while in school. 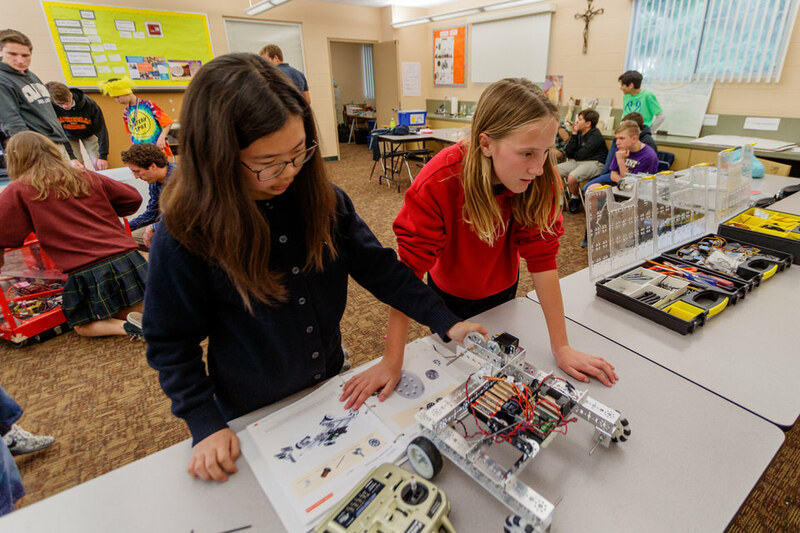 The STEM Club at St. Michael’s School introduces students to interesting concepts that involve science, technology, engineering, and math – all cleverly disguised as “fun,” sparking their intellectual curiosity beyond the classroom. The SMS STEM Club undertaking is to advance high-quality science, technology, engineering, and mathematics (STEM) education by providing a myriad interactive STEM real-world applications. 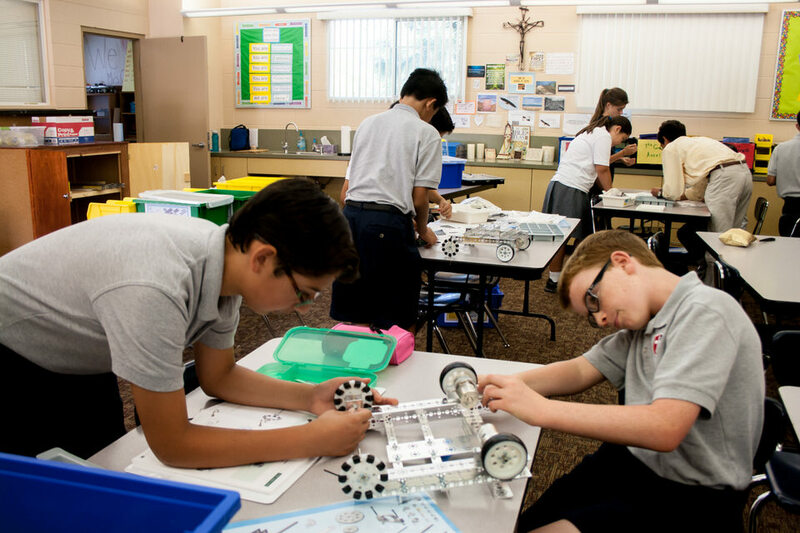 The club emphasis is on interactive lessons and activities that teach the engineering design processes, develop problem-solving skills, and build learners for life. Beyond focusing on Science, Technology, Engineering, and Mathematics, the STEM Club provides the opportunity to teach students what to do when they do not know what to do, how to process and take action in new and uncomfortable situations, and how to understand, interact, and lead in the jobs, communities, and the world in which they live. With peer collaboration and participation in fun hands-on labs and projects that mirror the real-world work of scientists and engineers, SMS students experience creativity and innovation, practice communication and collaboration, conduct research, apply information, think critically, solve problems, make decisions and use technology effectively and productively. 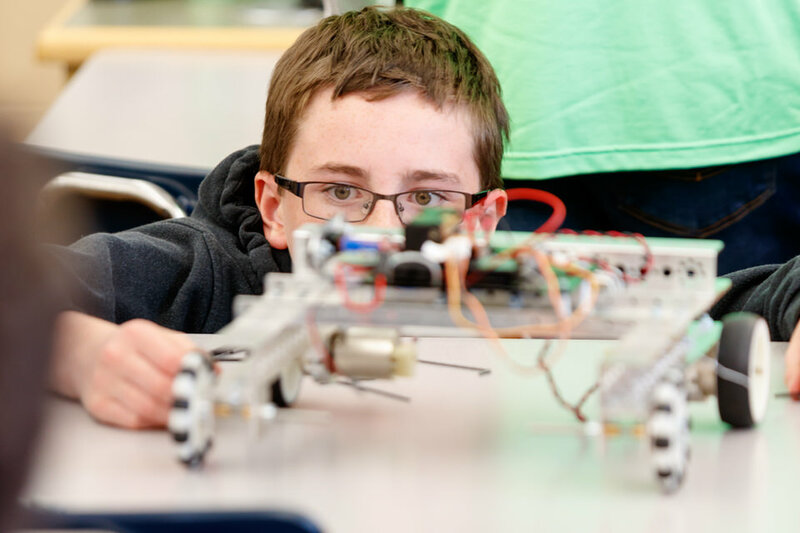 Over the course of the year, students will participate in Lego Mindstorms Robotics, become knowledgable of the engineer’s (student’s) tool box, learn how things work, complete engineering design projects, reverse engineering, root cause analysis of past engineering disasters, engage in electronics, forces and energy, partake in field trips and learn from guest speakers. 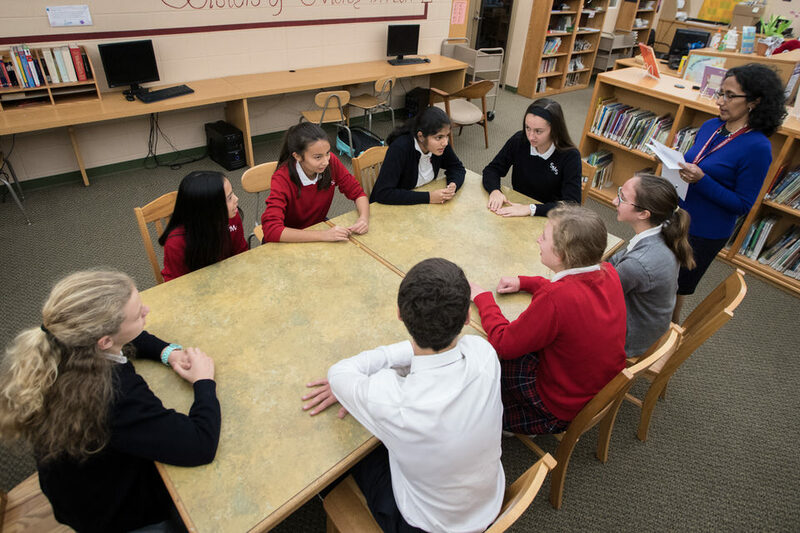 St. Michael’s Student Council is an extracurricular organization whose purpose is to develop leadership and citizenship skills among SMS students, in addition to establishing a school government whereby the students cooperate with the faculty to promote student welfare and school spirit. With this purpose in mind, Student Council serves to engage students in learning about democracy and leadership. 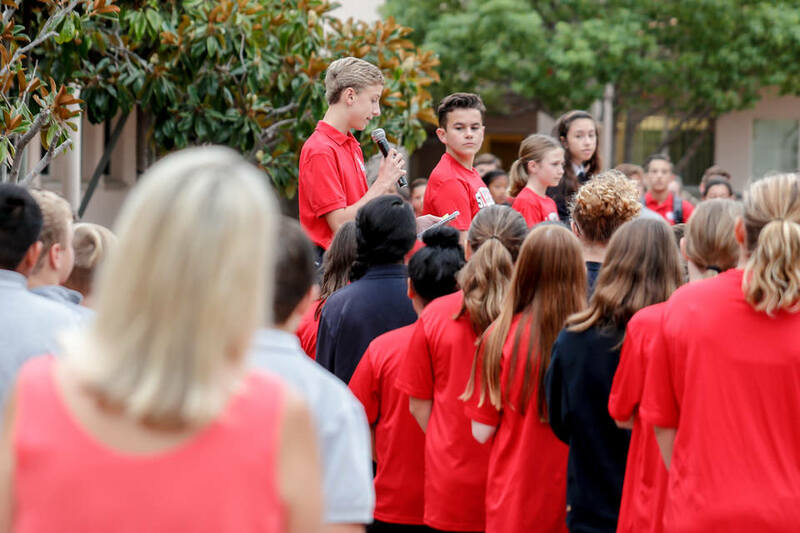 As reflected in SMS Mission Statement, Student Council and Mercy Corps together lead by example to inspire our student body, assume leadership roles, and become active members in their school, church, and community. SMS Student Council is comprised of student representatives and officers elected from and by the student body. Offices include President, Vice-President, Secretary, Treasurer, Liturgy & Worship, Civics & Citizenship, Safety & Ecology, and Athletics. Also, one classroom representative per semester is elected by each 4th-8th grade class. Duties of both the officers and representatives are delineated by the School Constitution and carefully considered by all candidates before deciding to run for office. All Student Council Officers are expected to be positive, supportive leaders and models for our student body.